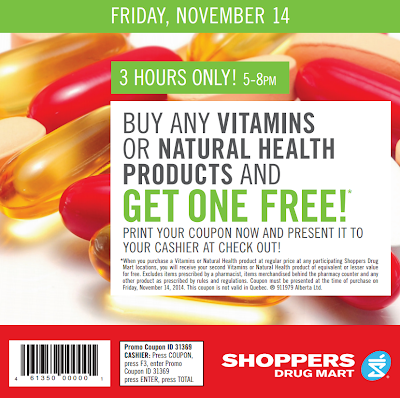 Shopper Drug Mart is offering this coupon allowing to get a free vitamin or health product only on November 14. See the conditions on the coupon. 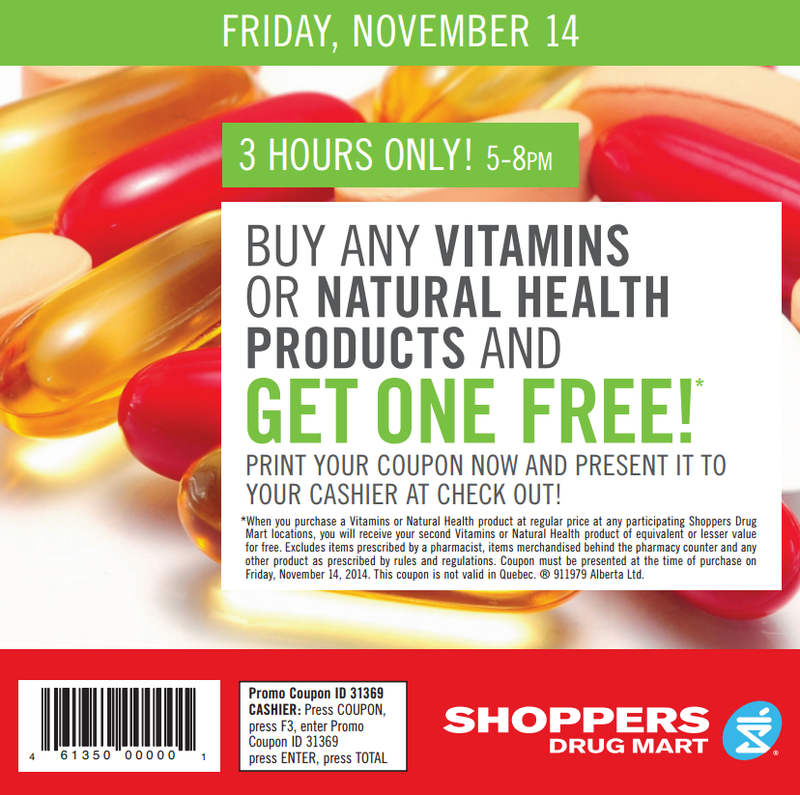 This coupon will get you a free product if you buy any vitamins or natural health products on November 14 between 5-8 pm. You will have to print the coupon and present it at checkout. Print the coupon here. When you purchase a Vitamins or Natural Health product at regular price at any participating Shoppers Drug Mart locations, you will receive your second Vitamins or Natural Health product of equivalent or lesser value for free. Excludes items prescribed by a pharmacist, items merchandised behind the pharmacy counter and any other product as prescribed by rules and regulations. Coupon must be presented at the time of purchase on Friday, November 14, 2014. This coupon is not valid in Quebec.